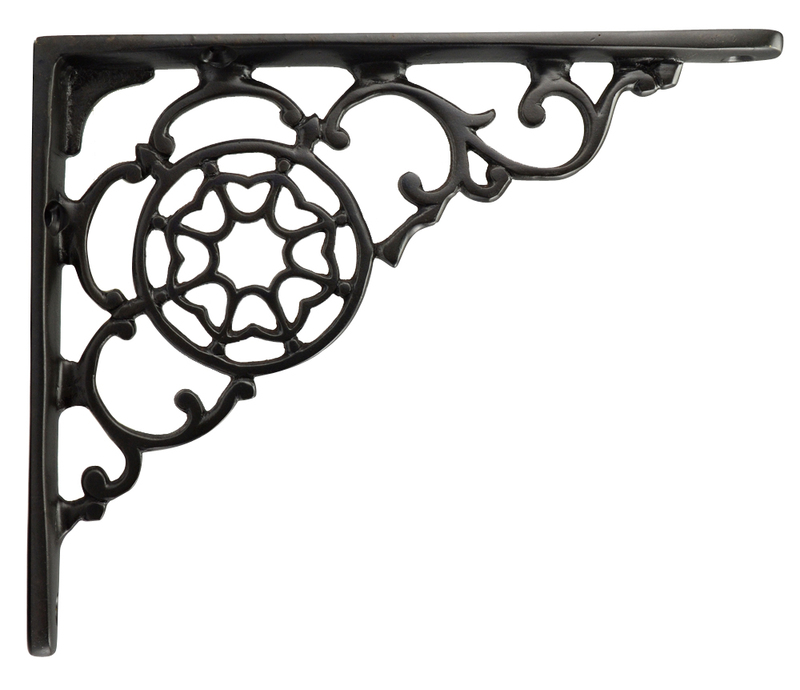 This decorative shelf bracket is finished in a fine oil rubbed bronze finish. Measures 6 3/4 inches long and 5 1/4 inches wide. This shelf bracket is hand cast and hand made one at a time - it is sold individually and made from solid Brass. This comes complete with mounting hardware.